This is our new family member that we adopted from the Humane Society. He is a 5 yr old Lhasa Apsa. 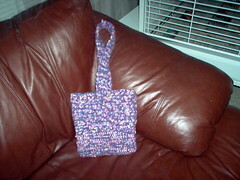 This is a felted purse I made last year. 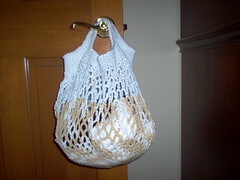 I used really bulky weight wool yarn and I loved the way it turned out. I am giving it to our neice for her college graduation. I made this for our neice who is expecting her first child in June. 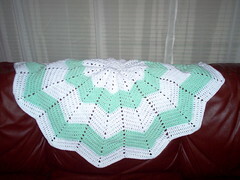 I used Lyn’s Round Ripple Baby Blanket pattern and it is a very simple pattern. Best Week Ever » Blog Archive » BeaWE.tv’s Top 10 Favorite Bea Arthur Moments. Swine Flu: Where to find virus, track outbreak, learn symptoms, more | The Toybox | ZDNet.com.